If you got Jotzey installed on your machine, you’ll see it listed in Firefox add-ons and in the Add/Remove programs dialog. 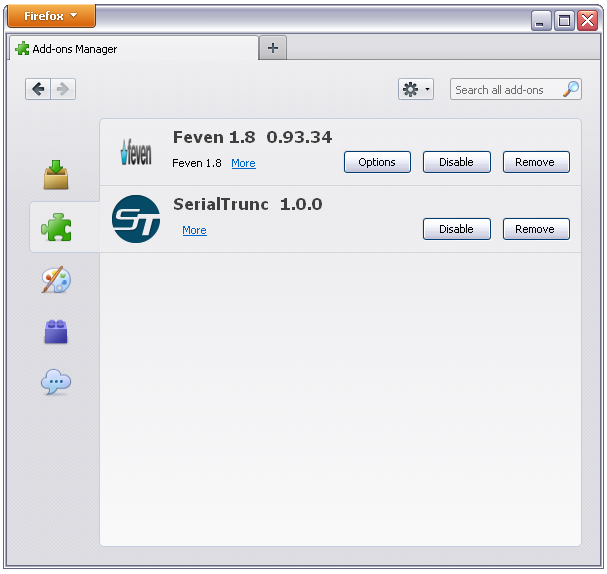 You can uninstall it using FreeFixer. 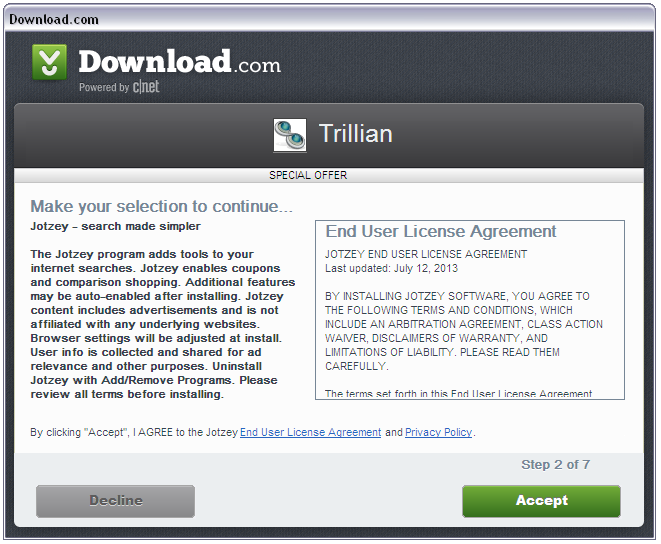 Check jotzeybho.dll and the firefox@jotzey.net.xpi extension for removal, or use the entry in the Add/Remove programs dialog. This morning I was reviewing the new files added into the FreeFixer library. One of the new files was FlowSurf.dll, which currently only Comodo picks up as Application.Win32.Altbrowse.AK. The description, “FlowSurf toolbar” indicates that it is part of an Internet Explorer toolbar. It’s unclear if flowsurf.dll is part of the FlowSurf software distributed from flowsurf dot net. I tried out that download which installed into Firefox. (a) interacts with your Internet browser to create editable, virtual layers that can alter the appearance of underlying Internet websites, as they appear on your computer only (the “FlowSurf Apps Add-On”); (b) incorporates the FlowSurf Apps “FlowSurf” search enhancer on each new web page that is spawned when you open a new Internet browser session (“FlowSurf”); and (c) displays featured FlowSurf search results at the top of the search results page. Where you conduct a search using FlowSurf, you will be showed search results generated by a third party search engine provider as designated by FlowSurf Apps or, where permitted, as selected by you (“Third Party Search Providers”). Hope this helped you remove FlowSurf. How did you get FlowSurf on your machine? Please share by posting a comment. 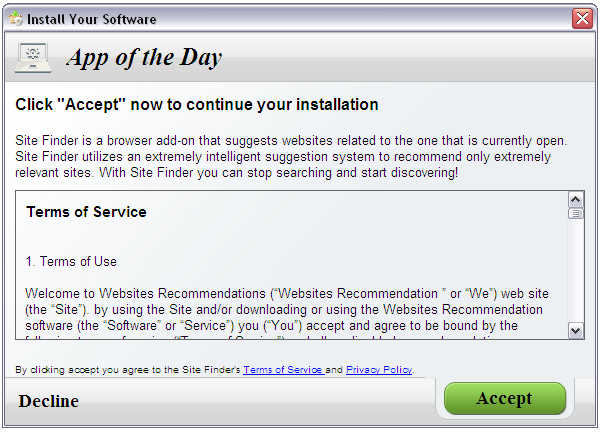 Did you find some software called Site Finder on you machine and wondering what is? 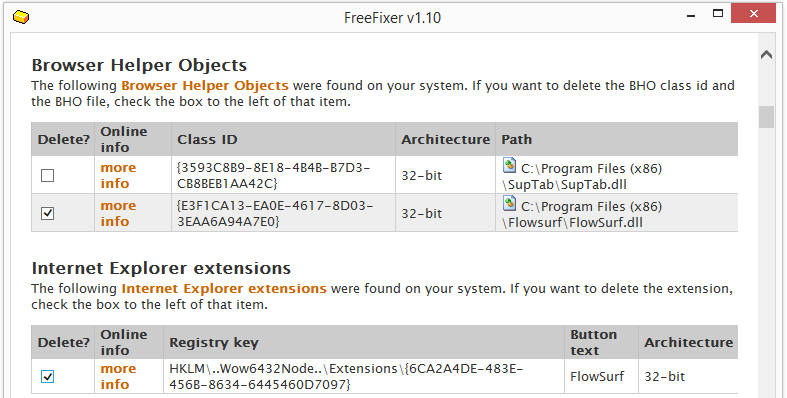 You can remove Site Finder with help from FreeFixer or by the Add/Remove programs dialog. Hope this helped you figure out what SiteFinder is. 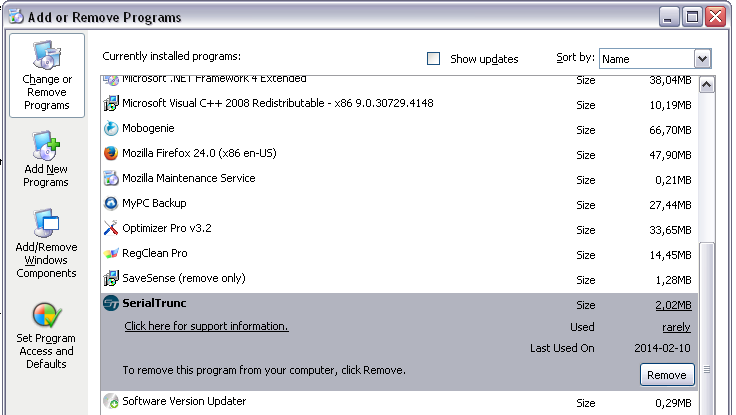 You can also try the Feven entry in the Add/Remove programs dialog. 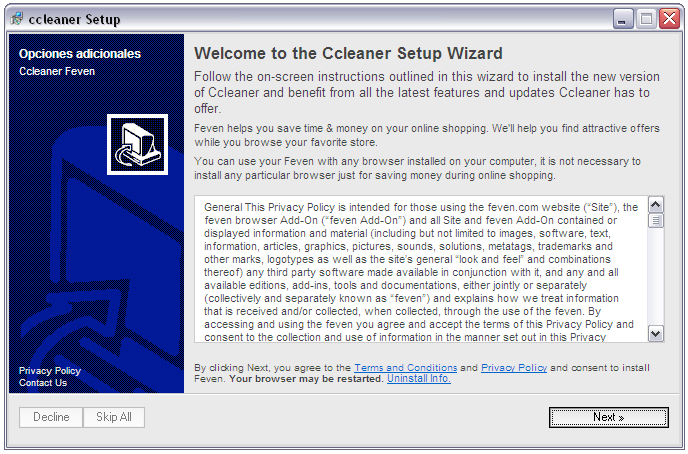 How did Feven find its way into your computer? I found it on a web site which package Feven with third party downloads. You will also see files such as SerialTruncBho.dll and updateSerialTrunc.exe on your filesystem. 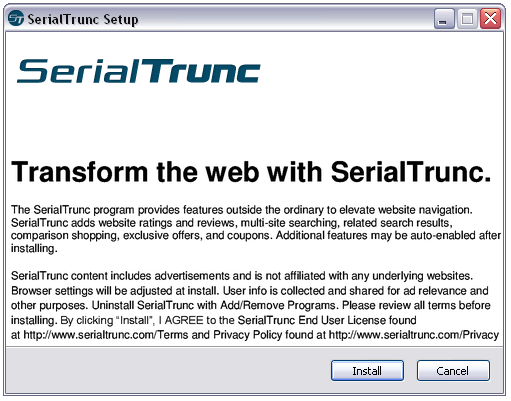 Hope that helped you figure out what SerialTrunc is and how to remove it. And by the way, how did you get SerialTrunc on your machine? I’m current working on some code for FreeFixer to repair hijacked Internet shortcuts. I’ve installed a few browsers such as Chrome, Mozilla, Safari and Opera on the lab machine, and then l installed a download that I knew messed around with the shortcuts to the browsers. Typically, the Internet shortcuts on the desktop is modified to launch an unwanted web page instead of the web page that the user wants. While doing this I found a new adware variant called “HD Streamer“. At the moment, only Vipre is picking up ScriptHost.dll, which is the main file of HD Streamer. HDStreamer has an entry in the Add/Remove programs dialog. I haven’t tested it but I suppose it works. 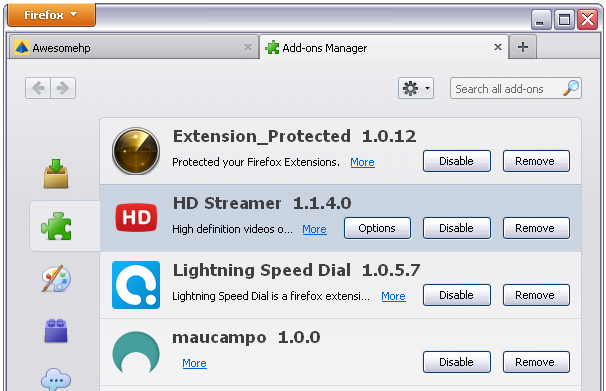 I did however test that FreeFixer deleted both ScriptHost.dll and the Mozilla Firefox Extension without any problem. Now, back to writing that code.